France suffered their first defeat since lifting the World Cup this summer, as the Netherlands ran out deserving 2-0 winners in their Nations League clash in Rotterdam. Ronald Koeman’s side dominated proceedings from the outset and could easily have gone ahead in the second minute, when Georginio Wijnaldum had his shot saved by Hugo Lloris. It was the Liverpool midfielder who finally gave the hosts the lead just before half-time, slotting home after Lloris had saved an initial attempt from Ryan Babel. Didier Deschamps’ team improved slightly after the break, but save for one Antoine Griezmann effort they never truly threatened the Dutch goal – and the hosts wrapped up the victory when Memphis Depay calmly chipped the ball past Lloris from the penalty spot deep in added time. 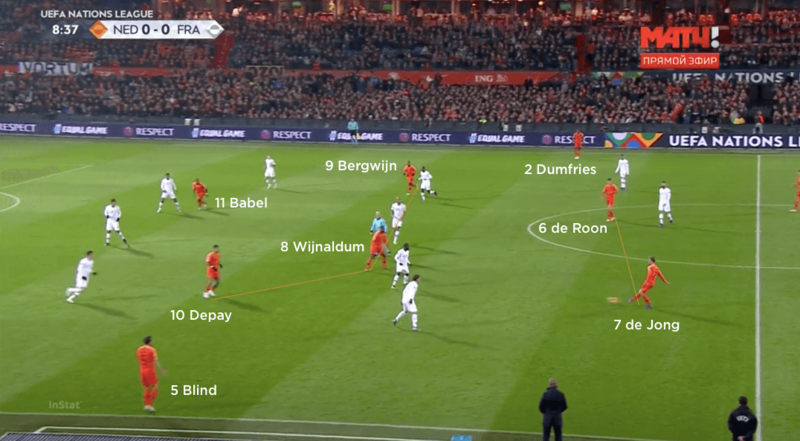 Ronald Koeman set his Netherlands team up in a 4-2-3-1 formation, with Frenkie de Jong and Marten de Roon as the two deep-lying central midfielders behind a relatively fluid front four of Memphis Depay, Georginio Wijnaldum, Steven Bergwijn and Ryan Babel. The hosts would try to push full-backs Denzel Dumfries and Daley Blind up the pitch in possession, which would allow the two wide players to move inside and operate in the half-spaces. De Roon and de Jong would remain behind the ball, offering support for the ball-carrier but also security should possession be turned over. 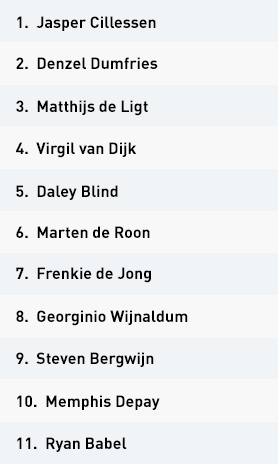 Typically, the Netherlands would look to build through their centre-backs and deeper midfielders. 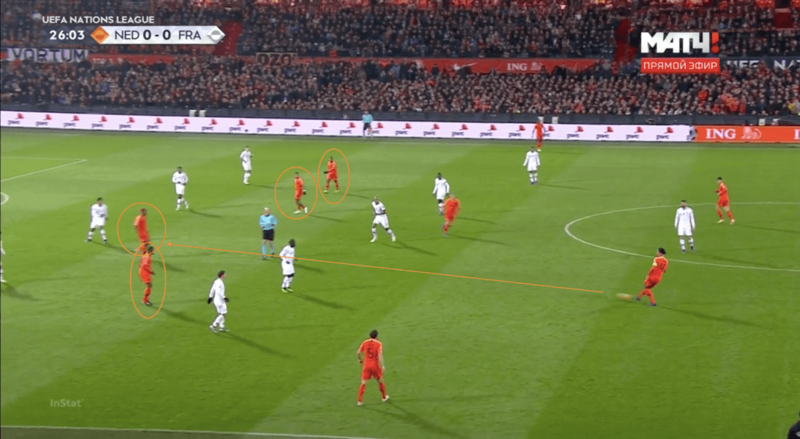 They were patient in possession and happy to move the ball between themselves, hoping to move the French players around and create gaps through which they could penetrate. 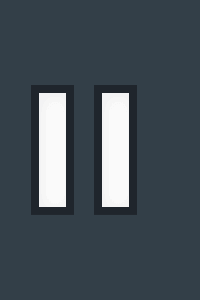 The issue they found when playing to teammates between the lines, however, was the lack of distance between the French units – so any Dutch player receiving between the lines would feel immediate pressure from both front and back, making it difficult to maintain possession once they had played through.  The hosts altered their strategy as a result of this, and instead looked to exploit the wide areas. 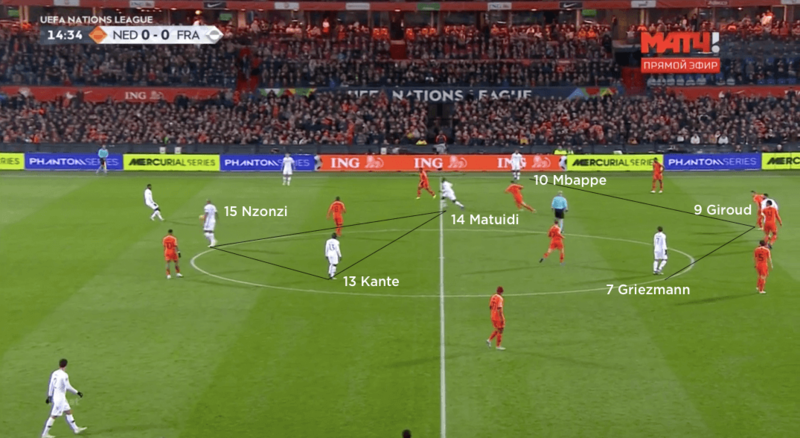 They would do this by continuing to move the ball centrally and to players between the lines; when France narrowed their shape to counter this threat, the Dutch would then play wide, either to a wide midfielder or full-back, to create a crossing opportunity. Towards the end of the game, with the hosts looking to protect a single-goal lead, they looked more to the counter-attack – it was from one such counter that the Netherlands got up the pitch and won the penalty from which Depay doubled the lead on full-time. Out of possession, the hosts set up in a 4-4-2 mid-block. The two central midfielders would be joined by the two wide attackers at the time, while the central attacking midfielder and striker would form the front line. The front players would apply a mild press on the French centre-backs; the nearest of the pair to the ball would arc his run in order to show the ball-carrier wide, and a more aggressive press would be applied when the ball went into these areas. 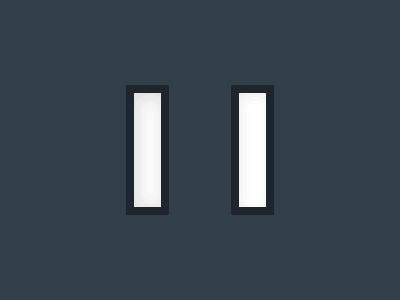 As the game progressed, the block became much deeper and the space between the lines was smaller. 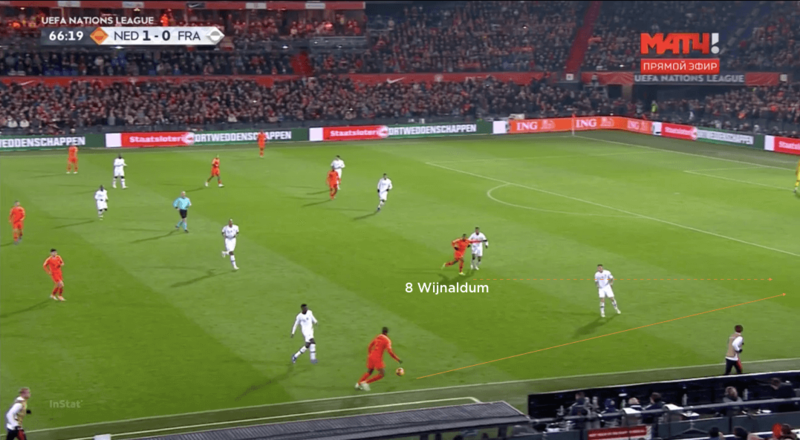 The Dutch back line had to deal with France’s attempts to clip the ball behind them, but they sat deep to give the World Cup winners very little room to do so and coped with this strategy with relative ease. 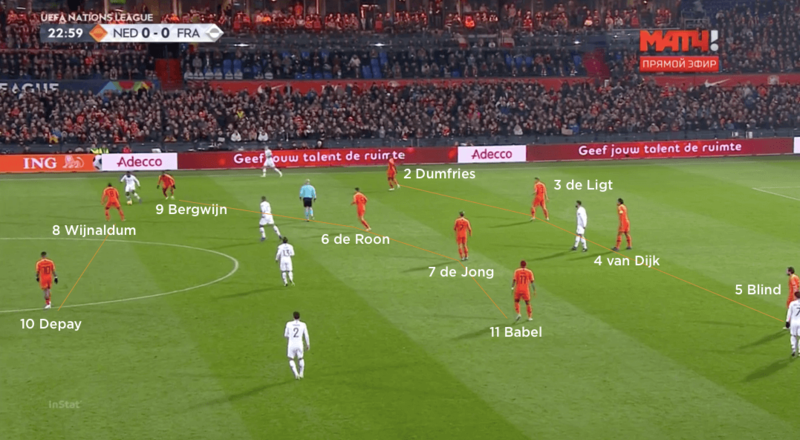 The Netherlands used a 4-2-3-1 formation in possession, with Memphis Depay, Georginio Wijnaldum, Ryan Babel and Steven Bergwijn forming a relatively fluid attacking quartet. Here, it is Babel occupying the central striker role. Out of possession, the hosts employed a 4-4-2 mid-block and would try to deny France space through the middle. The Netherlands tried to play through France and would often drop their attackers between the lines to receive. They regularly struggled to maintain possession from this point, however. The home side then started to focus on exploiting the wide areas. They would look to get a wide attacker or full-back – in this case, Wijnaldum – in behind the full-back to then get a cross in. 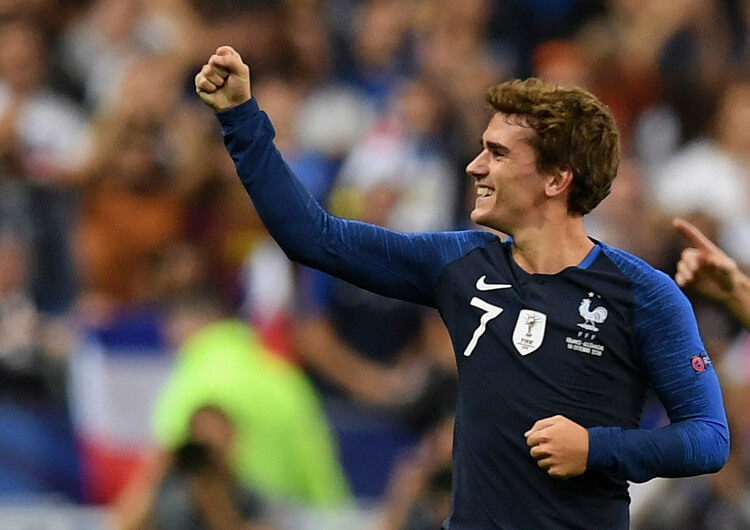 France used a 4-3-3 formation in possession, with Antoine Griezmann and Kylian Mbappe supporting central striker Olivier Giroud from wider starting positons. Out of possession, the visitors used a 4-5-1 mid-block and were happy to allow the Dutch centre-backs to have the ball in deep areas. France struggled in possession throughout, and had to resort to trying to clip the ball in behind the Dutch defensive line from deep positions. Here, that means centre-back Raphael Varane looking for advanced right-back Benjamin Pavard. Didier Deschamps set his World Cup winners up in their usual 4-3-3 formation in possession. With Paul Pogba absent, Steven Nzonzi sat as the deepest of the midfield three, with N’Golo Kante pushed forward alongside Blaise Matuidi. Antoine Griezmann, Olivier Giroud and Kylian Mbappe formed the attack. France had difficulties in possession and lacked any consistent solution to the problems posed them by the Dutch mid-block. 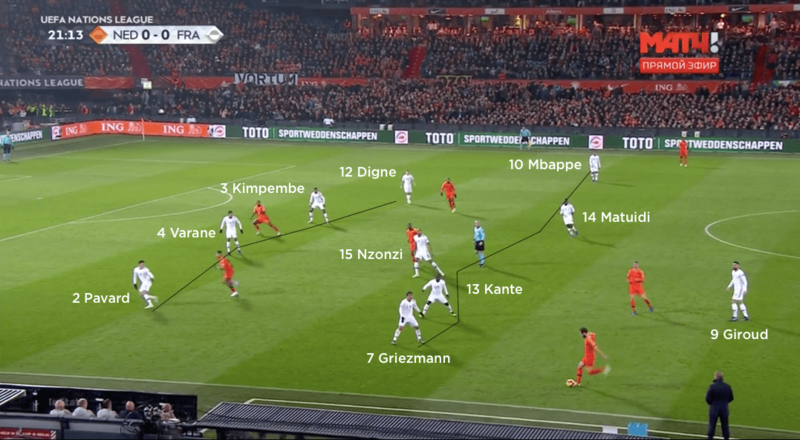 As the Dutch line was deep, there was very little space for Mbappe to run into – meaning he would often have to come deep to get on the ball, where he was often crowded out. They also tried to play direct to Giroud, either aerially or on the floor, for the target man to set back to his midfielders or attacking partners – but they had very little joy here too. As the game progressed and the Dutch fell into a deeper block, France then tried to take advantage of the wide areas. But they were crowded out whenever the ball went wide and into feet, so instead they looked to clip the ball behind the Dutch line – but with the hosts sitting so deep the French build lacked the pinpoint accuracy required to penetrate on what was a hugely frustrating night for the world champions. Out of possession, France operated in a 4-5-1 mid-block and were happy to concede possession for much of the game – a strategy that worked so well for them in Russia. Giroud would lead the line; Mbappe and Griezmann tucked into wide areas; and Nzonzi would operate centrally, with Matuidi and Kante either side of him. Giroud operated in front of the Dutch midfielders, Frenkie de Jong and Marten de Roon, and looked to show the Dutch to one side. Whenever the ball was played into one of the two central midfielders, one of Kante or Matuidi would release themselves from the block to go and shut them down. 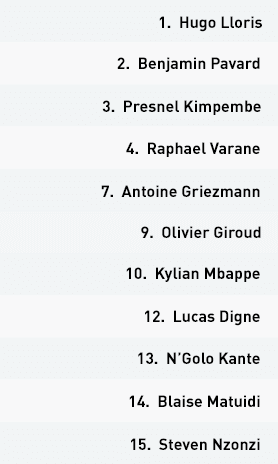 Nzonzi was tasked with trying to screen passes into the front players, while Griezmann and Mbappe would look to affect their respective full-back – although Griezmann was better at this than Mbappe, who often became slightly detached from the defensive line. 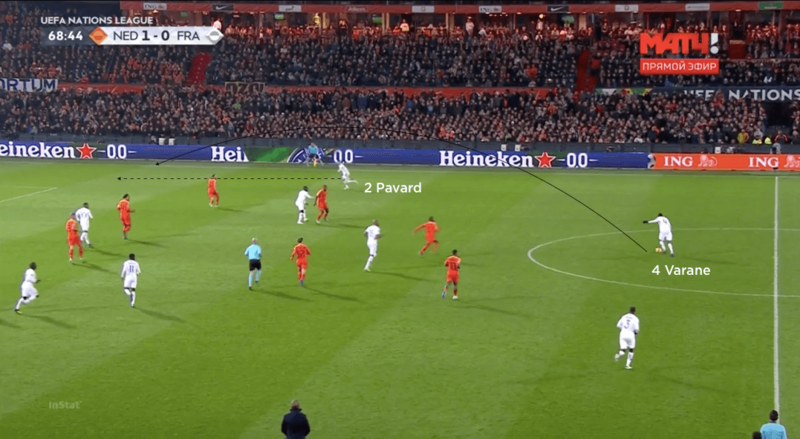 France tried to keep their defensive and midfield lines close to each other, in order to swarm any Dutch players who received possession between the lines. 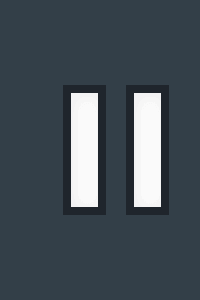 They did this to good effect, but in forcing the hosts out wide they then had to deal with a number of crosses. They coped with these reasonably well, with the exception of the failed clearance that led to Georginio Wijnaldum’s opening goal.